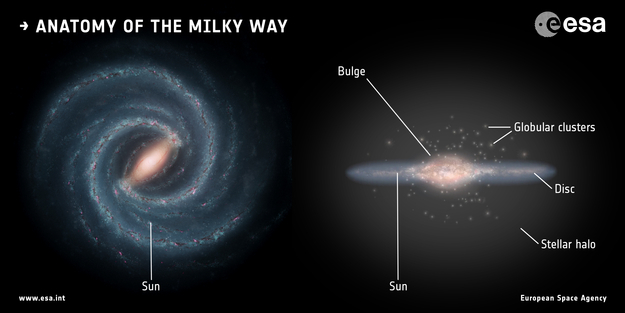 Do the Milky Way’s Stellar Streams have that Fuzzy (Dark Matter) Feeling? It is often said that people fear what they do not understand. In astrophysics, there are many things we do not understand, and perhaps, at least subconsciously, we begin to fear them. Take Dark Matter: it makes up roughly 80% of the mass in the Universe, and our humble galactic home, the Milky Way, is surrounded by a Dark Matter Halo that is likely over 10 times as massive as all of the stars, planets, dust, and gas in the galaxy combined. Yet we still have no clue what it really is, or what kind of particles it is made of. Ostensibly, we call it ‘Dark’ because we cannot see it, but there is no escaping the fact that the name gives off a creepy, sinister vibe. Although nearly every massive galaxy has a supermassive black hole at its center (even our own Milky Way has one), active galactic nuclei (AGN) like to show theirs off the most. There are many different kinds of AGN, but we think they’re all just different views of the same thing: a supermassive black hole at the center of a galaxy that accretes large amounts of gas, creating a superheated accretion disk and powering incredibly energetic jets. Do you take Jupiter for granted? When you were taking your dog for a walk last night, did you stop and think about how your dog could have been hit by a meteorite had Jupiter not been ejecting asteroids from the solar system for the last few billion years – just to protect life on Earth from frequent giant asteroid impacts? Or when you were eating breakfast this morning, did you stop and appreciate how you would not have been able to have breakfast if it weren’t for the fact that Jupiter migrated into the inner solar system shortly after it formed, in order to dump excess planetesimals into the Sun – just to prevent the Earth from growing past its current size and becoming uninhabitable? We may have Jupiter to thank for shaping the conditions that allow life to thrive on our planet. However, surveys of exoplanets in other star systems have found giant planets to be rare (albeit a new study is more optimistic). 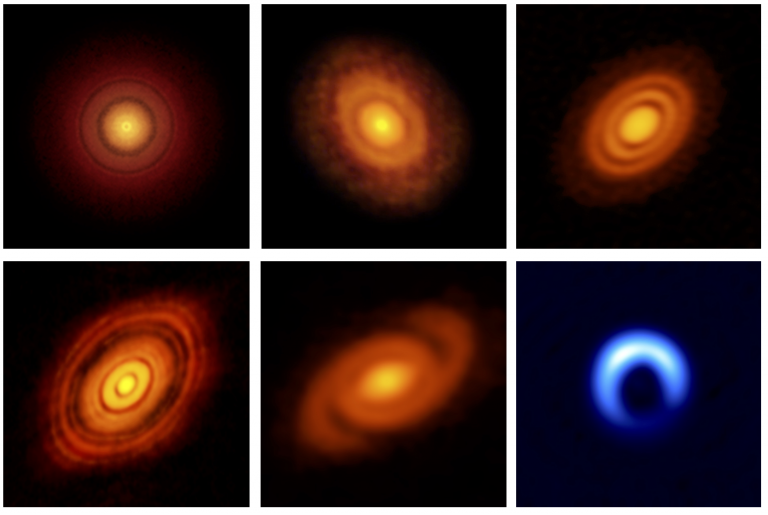 In smaller protoplanetary disks (such as those around smaller stars), the lack of gas giants is easy to understand as there simply may not have been enough planet-forming material in the disk to form such a large planet. However even in larger disks, there is a longstanding unanswered theoretical question of how can planets of this size form so quickly before the disk fades away in a few million years. If real protoplanetary disks cannot solve this problem, Jupiter-sized planets may indeed be few and far between. It was long thought that the rocky cores of gas giant planets (5 to 10 times the mass of the Earth) formed from city-sized planetesimals (> 1 km) merging together, but this takes too long. The reason this process is so slow is that there is a limited supply of planetesimals in any given area of the disk. In the last decade, it has been suggested that the largest dust particles (1 cm to 1 m) called “pebbles” can act as a catalyst to speed up the gas giant growth process because they do not stay where they formed. Pebbles drift towards their stars faster than any other sized object. This change of location makes it possible for pebbles all the way near the outer edge of the disk to reach a rocky core much further inwards and help it grow. Even though pebbles are small, they also make up a large fraction of the mass in a disk – allowing them to readily speed up a planet’s growth process. This method would rely on a black hole's ability to shread a very close orbiting neutron star before it crosses the BH's event horizon. Wouldn't many of such mergers just have the NS swallowed whole with no disruption? 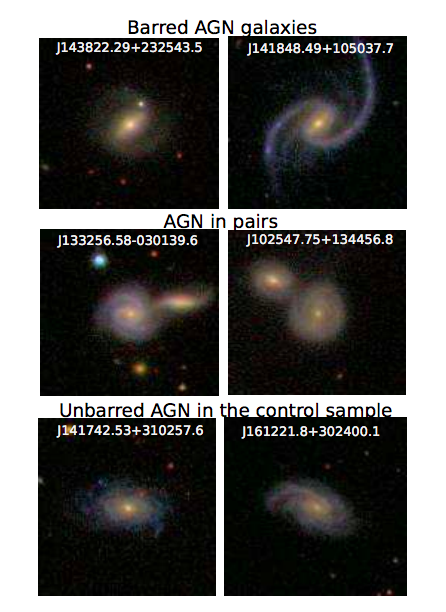 Today’s astrobite is a story of two papers, two research groups – and perhaps, two galaxies. 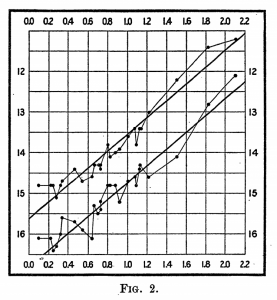 It starts with this previously-astrobitten Nature paper, which announced the discovery of a massive, quiescent (i.e. no longer star-forming) galaxy at a surprisingly high redshift of z = 3.7. Surprising, because in order to form a red-and-dead galaxy at such high z, it must have undergone a significant and sudden burst of star formation at a very early time in the history of the universe. This, the authors claimed, challenges current models of galaxy evolution, in which we don’t expect to see galaxies like this until much later. This is already controversial — as the previous astrobite points out, theorists quickly leapt to defend their models, showing that while these galaxies are rare, it is not at all impossible to create them in cosmological simulations. Quasars are some of the most interesting astronomical objects, able to provide us with information across both astrophysics and cosmology. When a quasar with unique properties, such as being exceptionally luminous is discovered, it’s particularly eye-catching. This is because it can provide an opportunity to make measurements that wouldn’t be possible otherwise, as we will explore in today’s astrobite. Astronomers look to quasars because of the extreme conditions surrounding their existence. They are exceptionally bright and emit across the entire span of the electromagnetic spectrum. These luminous emissions are thought to be due to the accretion of gas onto a supermassive black hole at the center. So you might be asking yourself, if these are so bright, why do we even need telescopes to see them? Well that’s because most quasars are at incredible distances, located at redshifts of z > 0.1, meaning relative to anything local to us, they’ll appear very dim. In fact the closest quasar to us, Markarian 231, is still at a measurable redshift of z=0.04. Congratulations! You’ve just found your first exoplanet transiting a star. You may wonder if there are any additional planets in that stellar system. This information is important in deciding which targets are worth spending more time observing at the telescope. Can we use the known stellar and planet properties to predict whether more transiting planets may be found? Asymptotic Giant Branch (AGB) stars are bright but cool (if a few thousand Kelvin can be considered cool). A star with a mass of 8M ☉ or less will usually evolve into an AGB star towards the end of its life. AGB stars are named so because of the region they occupy on the Hertzsprung-Russell diagram (see Figure 1, and this Astrobite for details on how they get to that region in the first place). At this point in its life, a star has burned through all of the helium in its core and appears as a red giant. AGB stars play a significant role enriching the metal content of their host galaxies, and can serve as reliable distance indicators by being standard candles. So it makes sense that we should try to detect and characterize them as far out as we can, in order to better understand the local universe. There is a decent chance that the first habitable exoplanet we discover will be orbiting an M-dwarf star. This is not because M-dwarf stars (named for their spectral classification and sometimes referred to as red dwarfs) create particularly hospitable environments for life. Rather, it is partly because they are so common, and partly because their size and dimness are ideal for exoplanet detection. A small, rocky Earth-like planet is large enough, relative to an M-dwarf, to significantly dim the star as it transits or to gravitationally “tug” on the star. In order to study these potentially habitable exoplanets, however, we need to know as much about the host stars as possible. And as the authors of today’s paper point out, it is unfortunately sometimes difficult to determine one of the most important stellar characteristics for exoplanetology: the star’s radius. Precise measurements of an exoplanet’s radius are necessary to distinguish between an icy and a rocky planet. We often constrain the radius of a planet by measuring how much of the star’s light is blocked when the planet moves in front of the star, and the star’s radius is a crucial ingredient for our analysis. We can derive a spherical estimate for a star’s radius with its color, distance, and brightness, but more precise estimates for distant, faint stars require comparisons to stellar evolution models (models that simulate a star throughout its live by numerically solving the equations of stellar structure). It’s an old question, to say the least. But even in modern times, scientists continue to search for the answer. A core forms through the accretion, or buildup, of solids. The core grows massive enough that, using its own gravity, it can accrete an envelope, or layer, of gas around it. The core accretion model is meant to explain, for example, how gas giants like Jupiter form in protoplanetary disks. A protoplanetary disk is a disk of gas and dust orbiting about a young star. For the core accretion model to work, a core must form before the gas in the disk can disperse with disk age. Otherwise, there wouldn’t be any gas left for the core to accrete a gas envelope in the first place. 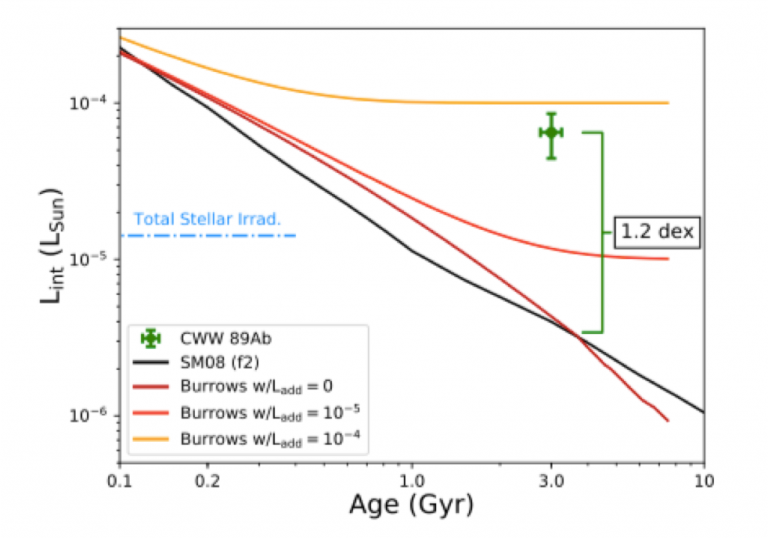 While the core accretion model has evolved a lot over the years, today’s authors focus on one scenario, which says planet cores grow through the accretion of pebbles. In this case, pebbles are bits of dust that are about a centimeter in size (or about half the length of a penny). These pebbles orbit along with the protoplanetary disk around the central star. But because of pressure in the disk, the gas in the disk is actually orbiting at a slower speed than the dust in the disk. So the poor pebbles, due to their small sizes, feel something like a headwind from the disk gas, which pushes back against their movement. These pebbles thus feel a drag force from the gas, which allows a growing core to accrete the pebbles more easily. And that’s good, because we want the core to grow massive quickly enough, so that it can accrete a gas envelope before the gas in the disk disperses. How heavy is our Galaxy? Weighing our Galaxy is a difficult task. The Milky Way is a complicated mess of stars and gas, and – to make things even more difficult – the majority of our Galaxy is invisible in the form of dark matter (Figure 1). Today’s paper states that current calculations of the mass range from about 500 billion to 2.5 trillion times the mass of our sun. The difference between these two huge numbers is only a factor of a few, but a precise measurement of the mass of the Galaxy is essential for understanding the physics of galaxy formation and for unraveling fundamental cosmological mysteries like the nature of dark matter. This number is very important to pin down because our Galaxy is such a unique laboratory for studying the mysteries of the Universe. It is the only galaxy that we can observe from up-close, and thereby collect detailed information on the structure of a galaxy and the complicated physical processes that occur within it. This snapshot of a single galaxy can be generalized to overarching physical theories when combined with observations of distant galaxies and compared to theoretical predictions from numerical simulations. This generalization, however, depends on our ability to place the Milky Way in the context of the general galaxy population – and this requires a precise measurement of the mass of our Galaxy. Can clouds make the sky brighter? The three-dimensional distributions of Type II Cepheids and Anomalous Cepheids in the Magellanic Clouds. Re: How heavy is our Galaxy? This is absolutely hugely interesting! The conclusion of Thomas Callingham et al is that the mass of the Milky Way is about a trillion times the mass of the Sun. 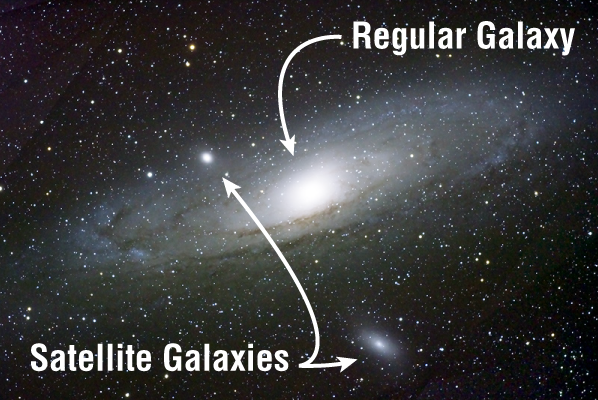 A big question to me is how the mass of the Milky Way compares with the mass of the Andromeda galaxy, which will be very important when the two "mass centers" of the Local Group collide. Is Andromeda a lot more massive than the Milky Way? 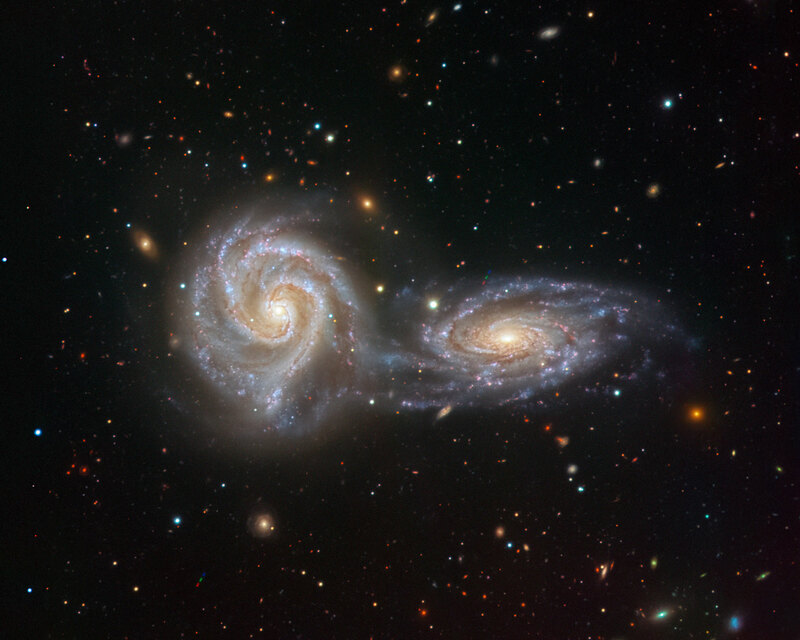 Or are these two galaxies at least relatively equal in size? 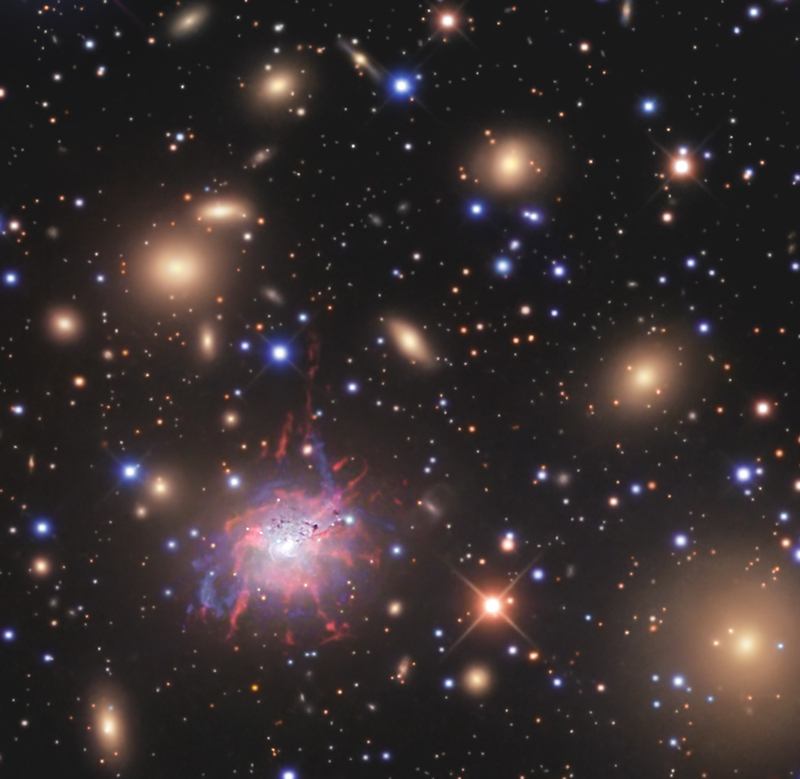 Perseus A in the Perseus cluster. Photo: R. Jay GaBany. Arp 271, NGC 5426 and NGC 5427. Photo: VIMOS of ESO’s Very Large Telescope. If the Milky Way is a flyweight galaxy compared with Andromeda's heavyweight, the collision between our two galaxies will likely scatter the Milky Way all over the place while leaving Andromeda moderately intact, perhaps somewhat similar to the collision between a smallish spiral and a giant elliptical that created the massive radio galaxy Perseus A. But if our two galaxies are relatively equal in mass, perhaps like the two components of Arp 271, NGC 5426 and NGC 5427, then the meeting of our two galaxies might be more like a meeting of equals. Of course, the results could be equally messy, if not more so. Mass estimates for the Andromeda Galaxy's halo (including dark matter) give a value of approximately 1.5×1012 M☉ (or 1.5 trillion solar masses) compared to 8×1011 M☉ for the Milky Way. This contradicts earlier measurements, that seem to indicate that Andromeda Galaxy and the Milky Way are almost equal in mass. Well, as we say in Swedish, "Den som lever får se", loosely translated as "The one who survives will live to see what happens". I guess few of us will be around to see the merging of the Milky Way and M31. 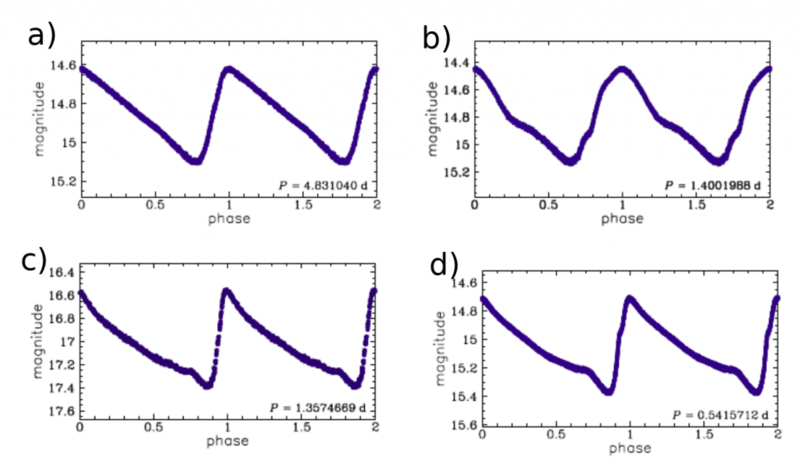 Stellar Surface Magneto-Convection as a Source of Astrophysical Noise I. The mass of a directly imaged planet is a tricky quantity to measure. Normally all you have is the brightness of the planet in comparison to its host star. Since giant planets do not produce their own energy (e.g. through fusion like a star) they simply cool with time. Their initial brightness depends on their mass: the gravitational potential energy of all the material collapsing down to form the planet. Therefore, the brightness of the planet, combined with the age of the system and models of planet formation, can be used to back out the mass of the planet. A prominent question in the field of planet formation is the initial conditions for these models: how much of the gravitational potential energy goes into the planet (heating it up) and how much is dissipated before the planet forms? This uncertainty leads to a spectrum of different initial conditions ranging from “hot” to “cold” start models.